“Il passado esta el futuro” cried Telmo Rodriguez, swirling a glass of Godello in one hand while gesturing energetically with the other. The past is the future. Thus began an impassioned speech on the recent history of Spanish wine, and the replanting of Valdeorras. Rodriguez is well placed to comment on the subject. His family purchased the historic Remelluri estate in Rioja when he was just a boy. He witnessed first-hand the frantic pace of progress that engulfed the Spanish wine industry in the 1980s to early 2000s. He saw native grapes uprooted in favour of more popular international varieties. He saw gleaming stainless steel tanks replace concrete and wood. He was there for the “Parkerization” of wine styles, and has followed the aftermath. In 1994, Rodriguez struck out on his own. He head east from Rioja to Navarra, a region then little known for its wine outside of Spain. In a time when Cabernet Sauvignon and Merlot reigned supreme, he focused on the native grape Garnacha (aka Grenache). As the company grew, Rodriguez continued his pursuit of indigenous grapes, from both famed and forgotten terroirs throughout Spain. 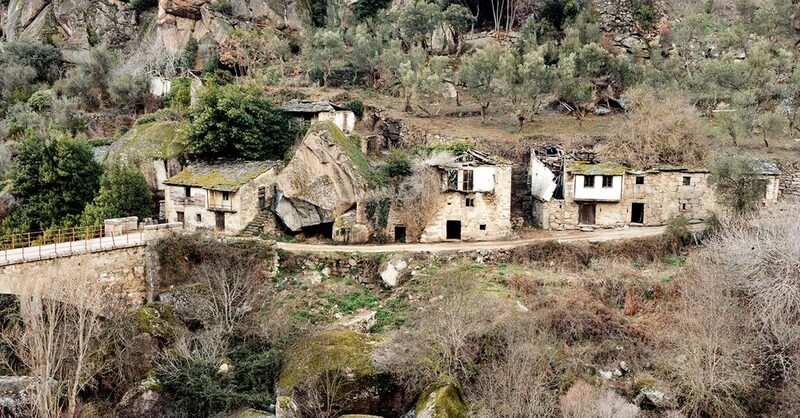 In 2002, his wanderings took him to Valdeorras in Galicia – the rugged, rainy northwest corner of Spain. Valdeorras, the “golden valley” acquired its name in Roman times, due to its wealth of gold mines. As was the case across much of Western Europe, the Romans planted vineyards that, centuries later, were tended by industrious monks. Phylloxera, the Civil War, and the ensuing exodus of countryside dwellers saw Valdeorras’ vineyards abandoned en masse. The remote location, steep slopes, and unpopular grape varieties, doomed the valley to a long winter’s sleep. Thankfully, enterprising young producers like Rodriguez have slowly begun filtering into the region and winemaking is once again a proud local tradition. Situated on the eastern edge of Galicia, Valdeorras is located in the Ourense province, bordering Ribeira Sacra to the west and Bierzo to the north east. While maritime influences play a minor role on the local climate, the area is largely continental, with cold winters, warm summers and mild spring and fall seasons. Slate mining is a major industry in Valdeorras, and a major soil type for the appellation’s vineyards. The hilly terrain, with altitudes raning from 300 to 700 metres above sea level boasts a wide diversity of other soils as well, ranging from alluvial, to calcaerous, to iron-rich clay, and granite. White wine, made from the local Godello grape, is King in Valdeorras. Godello has long been touted the next “it” grape for white wine lovers. Although with a mere 1200 hectares planted, Godello won’t be bursting onto the international wine scene anytime soon. Wine experts liken Godello to Burgundian Chardonnay, with its crisp acid, lemon-fresh scent, mineral-laced flavours, affinity for oak ageing, and rich, weighty structure. Red wines from Valdeorras are generally made solely or predominantly from Mencia. Better known as the major grape in neighbouring Bierzo, Mencia gives lively, light bodied reds with floral aromas, tart red fruit flavours, peppery hints and moderately firm tannins. When Rodriguez first arrived in the area, he headed to the town of Santa Cruz, perched 600 metres above sea level, and spoke with its tiny community of just 938 souls. He observed the local vineyard practices and asked questions. When he purchased a vineyard, it was upon the advice of the village elders, who deemed it the best. The “A Falcoeira” plot had been abandoned many years prior. Rodriguez set about replanting the land, and to the surprise of the locals, he did so in the historic manner. Rather than growing one single grape vine, he co-planted native red grapes. Rodriguez just shrugs his shoulders when asked the blend of his signature wine from the A Falcoeira vineyard. The technical sheet for the “A Capilla” cuvée reads: Mencia, Brancellao, Sousón, Garnacha and others. Reviving forgotten native varieties, and the ancient local tradition of field blends is what drives Rodriguez’s Galician endeavours today. He believes that Spanish winemakers across the country need to work harder to prove how unique, diverse, and exciting their top terroirs can be. For Rodriguez, incorporating the traditions of the past, with the high level of winemaking skill and tools of today, is perhaps the answer. At a recent gathering in Montréal, I had the pleasure of sitting down with Telmo Rodriguez and tasting his range. Crisp, dry white with pretty lemon, green almond, fennel notes on the nose. Full-bodied, with a subtle, textural quality and moderate concentration of honeyed, nutty, savoury flavours. Finishes clean and fresh. Discreet nose. Upon aeration, intriguing notes of red currant, blood orange, and white pepper come to the fore. Medium bodied, with brisk acidity, juicy red fruit flavours and a subtle vegetal hint. Tannins are silky, making for a smooth finish. Unoaked. The first of the trio of Rodriguez’s top tier red wines from Valdeorras. As Caborcas hails from a 2.5 hectare vineyard in Santa Cruz featuring shallow granite soils planted on steep terraces. The is an old vineyard, boasting 60 year old co-planted vines of Mencia, Merenzao, Sousón, Godello, and Garnacha. Only 2500 bottles made. Highly aromatic, with heady notes of macerated red cherry, cranberry, crushed strawberry, peony, and milk chocolate. Wonderfully fresh on the palate, with incredibly vibrant, highly concentrated notes of brambly, just ripe wild berries. This medium bodied, moderately firm red, finishes with powdery tannins that bring just a hint of attractive bitterness. Ageing in large, old foudres brings a rounded, earthy quality. Lovely! High altitude vineyards, 550 to 725 metres above the town of As Ermitas. The northwest exposure and soil diversity of this green slope long fascinated Rodriguez. The vineyard has a mix of old and recently planted vines; mainly Mencía, Brancellao, Sousón, and Garnacha, along with other red and white varieties. A fuller, richer red than the As Caborcas. Intense aromas of ripe red cherry and black plum mingle with notes of rose, milk chocolate, and exotic spice on the nose. The palate is lively yet generous with impressive depth of flavour. Hints of leather and tobacco underscore the ripe red and black fruit flavours, and linger long on the finish. Fine grained tannins and well-integrated oak bring further polish. From the revered A Falcoeira vineyard, this 2015 cuvée is a stunner. The hot summer weather caused the vine to shut down briefly, allowing fresh acidity to be preserved. The steep granite-based slopes above Santa Cruz were largely replanted and are just now giving mature fruit of the depth and complexity sought by Rodriguez. Incredibly elegant, with layer upon layer of aroma and flavour developing upon aeration. Notes of red currant, strawberry, rose, and cranberry, are underscored by autumnal, earthy hints and vibrant dried citrus peel. Brisk acidity is beautifully balanced by a rich, velvety mouthfeel, highly concentrated core, and full-bodied structure. Tannins are firm, yet perfectly ripe. The finish is almost endless, with notes of tea leaf, dark chocolate, fresh fruit, and cedar oak hints. Brimming with finesse.